I'll be presenting at RIAcon next weekend: "CF911 ColdFusion Performance Report 2011"
I'm delighted to announce that I'll be presenting at next week's RIAcon conference in the DC area, August 6-7 2011. Starting a new tradition, veteran CF troubleshooter Charlie Arehart will present a review of the performance aspects of making various choices when working with ColdFusion, especially in recent version(s) of ColdFusion. Leveraging the important value of real load testing (as opposed to the less accurate conclusions from "large loop" testing), Charlie's annual report will help attendees appreciate the performance-related improvements of new/changed features, as well some older features where choices can make an important impact. Depending on the timing of the release of "CF next", the session may cover its new features, but it will certainly cover some things new in CF 9 and 9.0.1. As for RIAcon, I hope you're considering it. Phil Nacelli and the folks at AboutWeb have been working hard to put together the conference, which in some minds is kind of picking up where CFUnited left off. It will be a more intimate event, much like CFunited was when it first started. Even more of a delight for me personally is that the hotel (The Legacy Hotel) is right on the land that was once the location of Congressional Roller Skating Rink (until the late 70's), where my sister and I (and many friends) spent our teen years pretty much whenever we weren't in school. 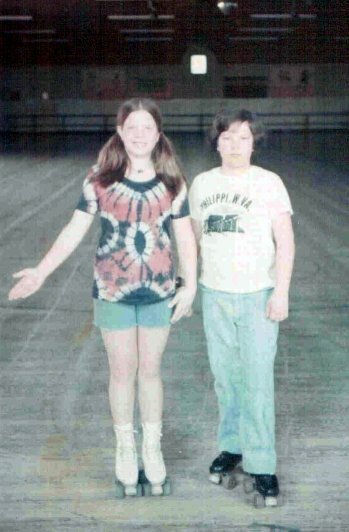 Yep, I was a skating nerd: dance, figures, freestyle, and more. Here's incriminating evidence!